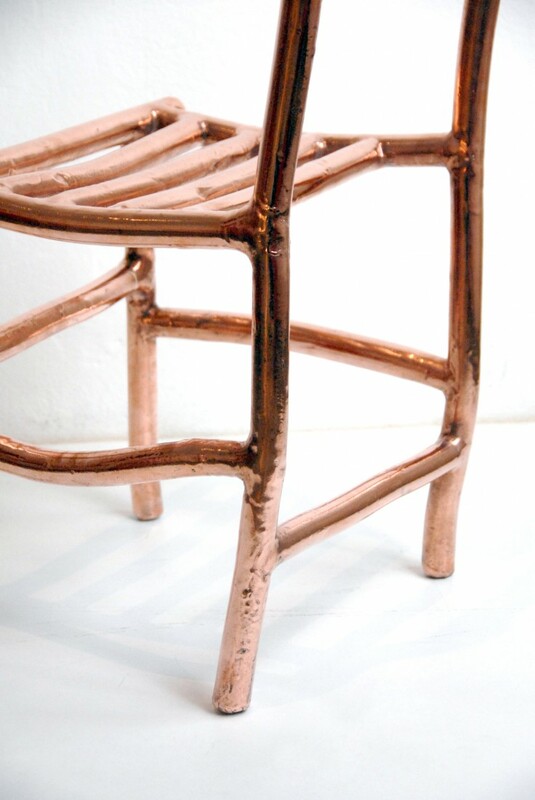 Using a scientifically controlled metal electro-deposition process, it is possible to ‘grow’ nanocrystalline copper onto almost any substrate. 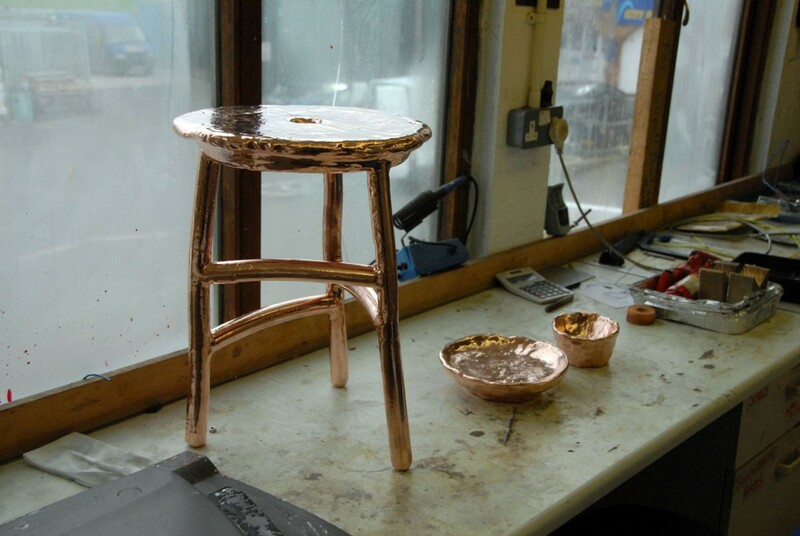 After sculpting furniture out of clay modelling wax, a conductive silver spray was applied to the surface and then positively charged while submerged in a tank of copper sulphate solution. 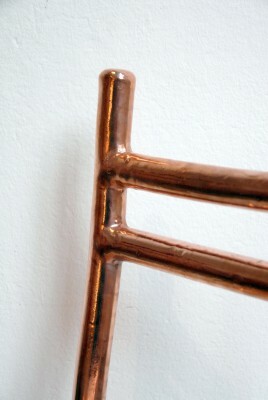 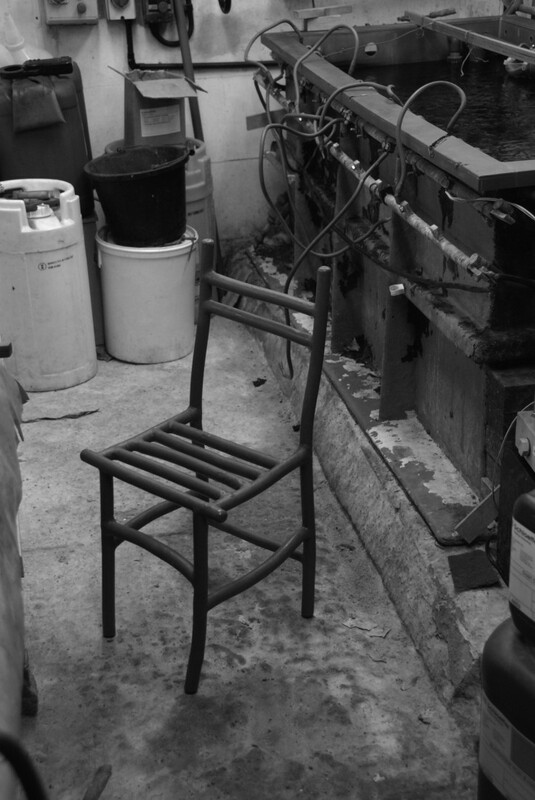 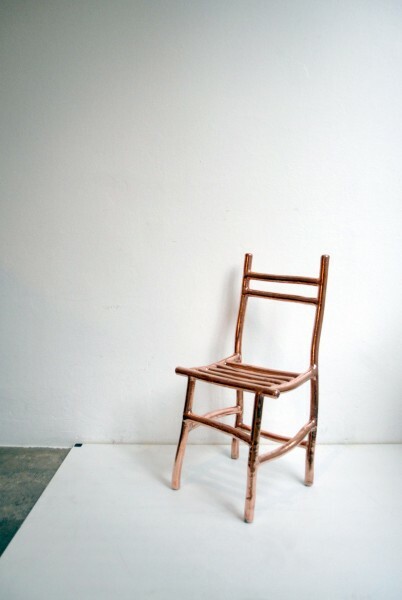 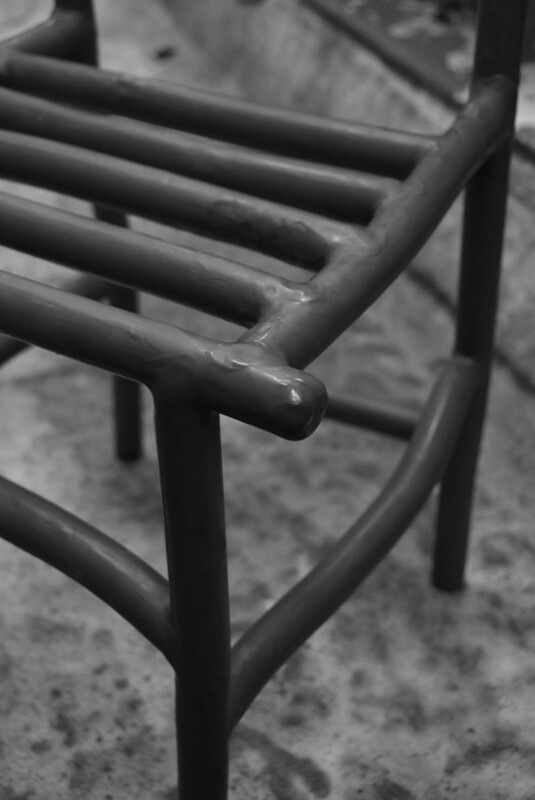 Nanocrystalline copper particles slowly grew over the form of the chair until an 800 micron (0.8 mm) layer of copper had been achieved. 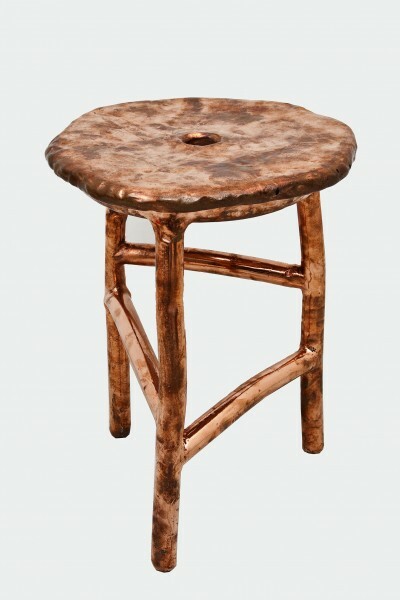 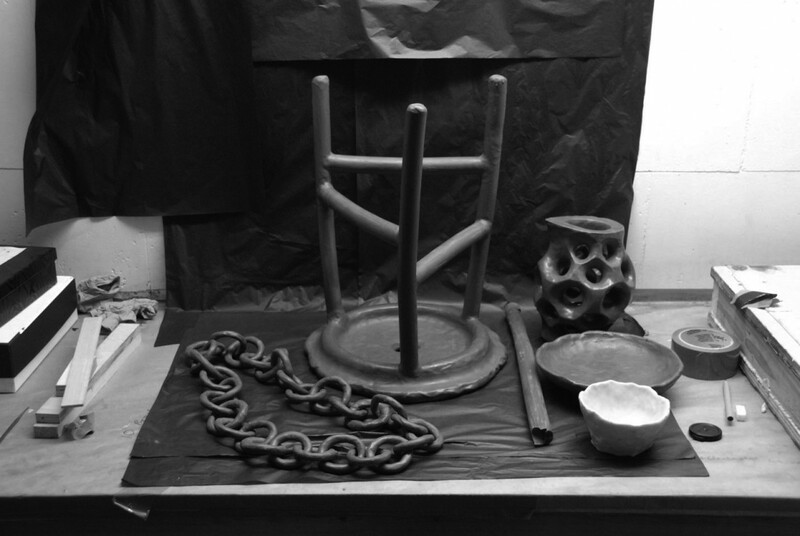 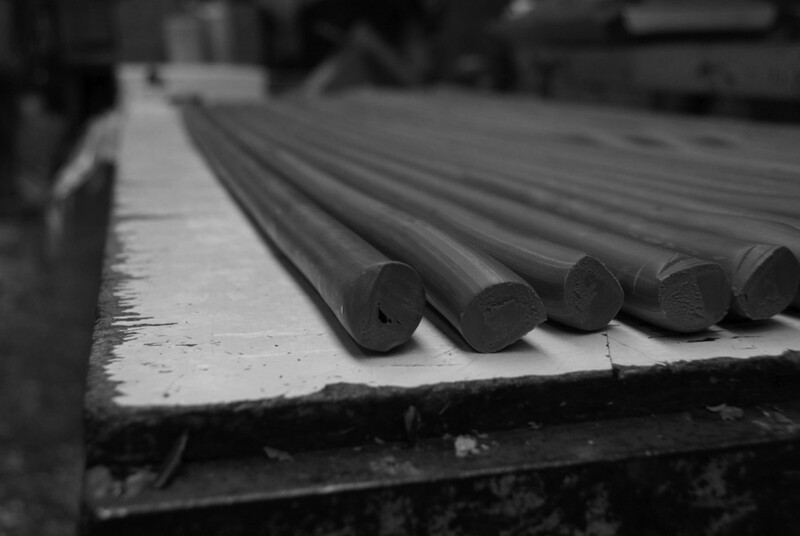 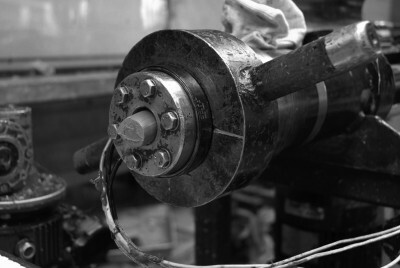 Once electroformed, the wax core was melted away to leave light, strong and hollow copper furniture. 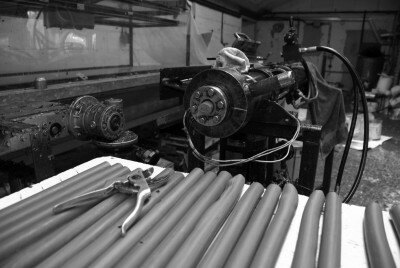 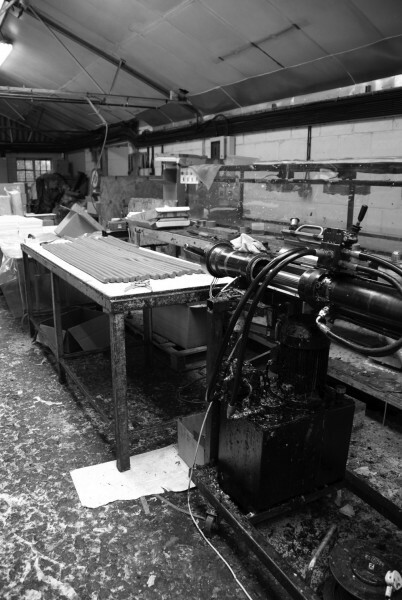 The wax can be repeatedly reused to make new objects.